Given the decent winning position on the week, some may accuse me of playing with "house money" given the ambitious 28 points outlay today. However Sandown, Chester and Beverley are three of my favourite punting tracks so to be faced with all three in one day was too much to resist! We started with two seconds which was no good at all and then Bronze Beau made all @ 14/1 to take the pressure off (the other selection in the race finishing second). Rule four (20p) deductions means settlement was @ 11.2/1. In the 16:25S Gown went off at 14/1 which surprised me but the price was generous partly because a well know web tipping company put up the eventual third in the race, which of course attracted market support. Lilyfire came second, so the recommended straight forecast was down but I was happy to settle for a 14/1 winner! (BOG). Good ride from RLM. In the 17:10C Space Artist was the one of the two selections that attracted support and the market proved correct with Graham Lee just holing on in a close finish. Although 9/1 was the recommended price we are paid out 8.1/1 because of a 10p rule four deduction. Total returns on the day 52.38 points for a profit of 24.38 and therefore around 75 on the week (will calculate exactly later). No horse bets tomorrow. Tennis update: My 100/1 poke Simona Halep beats higher-ranked MaKiri 6-1 6-0 to cruise into the fourth round! (Now 16/1 Hills/Ladbrokes/Coral as I write). Rambo Will cruised to victory for us at a short price, forecast was up to. Went to The Marches to listen to (mate) Benet Walsh and Sam Thomas which kicked off at 21:00. Had intended to pop into Betfred (which is next door) to watch the 21:20K. 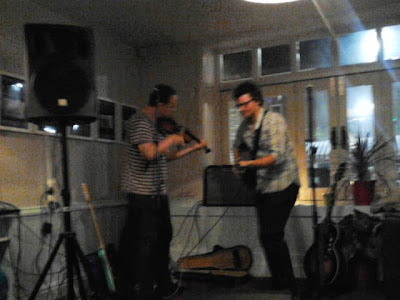 But forgot once I was immersed in the music/beer. Amazed to see therefore that Ocean Legend had obliged for us at 14/1! A great start to the week with Osteopathic Remedy obliging comfortably @ 14/1 at Ripon. In fact if you have a VC account you may well of availed yourself of the 16/1 I mentioned was on offer with the legendary (non)-layer. Aside from this (10/1 SP) winner, Imaginary World also obliged, getting up close home to land the three point bet @ 11/2 (SP only 4/1). Profit on the day 48.75 points. Not going to play at Chepstow after all. Total stakes above 11 points plus the four staked last night. More wagers in the morning. A very good day today to finish the week. Fancied it a bit with 14 points staked across the three races (as compared to, say, unsuccessful Friday with 12.5 points across seven races). Ironically Hughes' mount did not go reducing the day's total stakes to 11 points and the 17:30G to seven runners thus making the ew poke on "Alpha" less attractive. No need to worry though as the latter obliged @ 7/2! Although we took 12/1 the bet is of course subject to a hefty rule 4 deduction (30p) reducing the odds to 8.4/1 - however we do get 1/4 odds for the place odds because of the reduced field. Return on the 2pts ew bet is therefore 25 points - far better than at 7/2 SP! At Beverley Captain Midnight won comfortably @ 7/1 (SP 4/1) for a 12 point return. So 37 points back for 11 staked and a profit of 26 on the day. Total profit on the week around 48 points. Will post the full details on my website later or tomorrow, meanwhile enjoying a glass of Ludlow Gold to celebrate! US Open starts tomorrow at 16:00 our time and there are loads of race meetings to sort through - will have a look later. No further horse racing bets today unless any of my selections in the three races are non-runners. Total stakes today 14 points. 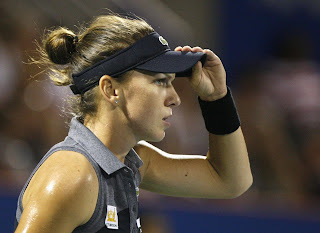 Tennis update: 100/1 Halep US Open outright all gone following last night's win. Still 66/1 with WH is value ew for small stake if you are not already on. Just 33/1 with Bet365, Coral and VC. Inspirational creative tennis sees the Romanian dismiss Kvitova 6-2 6-2 in the New Haven final. Terrific watch. Her fourth tournament win - all in 2013. What an improver! Simona could be Vika's opponent in the semi if both get that far. Good luck if you play any of the above. Those of you just checking in to see today's horse racing selections may be relieved to learn there aren't any today following two days' losses. I was tempted by the Tony Martin plot in the Ebor which should love the ground but it's been backed off the boards and is now a very short price. I am now just going to visit two high street casinos - sorry betting shops - to have a couple of wagers on the tennis. Will post later if I get the prices and they are still available when I return. A poor day Friday with no returns. However with winners at 20/1, 12/1 and 4/1 we are still ahead on the week. Total profit on Monday/Tuesday was 41+ points, no bet Wednesday but unfortunately losses on Thurs/Fri total 18.5 points. So 22+ points up going into Saturday. Usually I have a stack of bets on Saturdays but at the moment I can't find anything. I will have one more look in the morning but if I don't post by 10am then it will be another blank day. There are a couple of possible races on Sunday to complete the week. I have not watched any races today and have only just seen the results in the last twenty minutes. Very pleased to learn we have had two winners - both heavily backed - I reckon I could have done better though, had I had more time to devote to Leicester this morning/afternoon. However I can't grumble - 4/1 chance punted into 9/4 and the 20/1 chance ends up an 8/1 poke. Both appear to have won comfortably reading the bare results. Thankfully no Rule 4s to affect our prices. Stakes on the day were the same as yesterday - 10.5 points. Returns are 30.25. Yesterday's returns were 32.02 points. So it's Tuesday and we are 41.27 points up on the week. I will probably not have a bet tomorrow. If I don't post anything by 10am it will be a blank day. I will take the opportunity to watch a bit of York. The International Stakes (Juddmonte) looks an interesting contest but not my sort of race to have a bet. I can remember watching the first running of this race in 1972 when Roberto beat Brigadier Gerard, the latter losing his unbeaten record and the winner breaking the track record. And of course a mere 40-years later the race was won by the unbeaten Frankel. Total above 7.5 points staked. We started with yet another second today. We had a bunch of these at the end of last week which contributed to a loss of 16 points on the week. Then George Fenton is punted from 12/1 to just 4/1 and gets up on the line! Gives us 21 points profit on the day. More selections in the morning. The selection is only 7/1 with Paddy Power which looks nearer the mark. Probably one more race from Thirsk. Not doing much betting tomorrow as the sun is forecast to emerge again so tennis will be on the agenda. Brings the Saturday horses total to 26 points staked. 0.5pt ew double above two at prices. Woza played well against Vika last night without ever looking like the winner. So we need a big performance from Janko to get past the improving Vika. A chance but not a big one. Elsewhere Berdych was impressive in downing Mugray in straight sets. Likely to lose to Nadal next but is worth consideration @ 80/1 with Sportingbet for the US Open if you have an account (each way is a third 1,2 unlike every other firm however). 50/1 with some others not too bad with 1/2 odds to reach final. Good luck today if you are getting involved. The tennis went rather better than the horses yesterday, although no winning returns as yet. Janko beat the more fancied Stephens - which I obviously thought she might, coming down after the Pova win. Incidentally the price was 80/1 for Janko with Fred and not 66/1 as I wrote on the blog. Those of you who backed her will know that of course as there were no price changes before the "off" at 16:00. Vinci beat Errani, which was the preferred Italian result. And Woza prevailed against Kvitova last night recovering from 3-1 down in the final set. So we have three of the four qtr finalists in the bottom half of the draw. The missing one being Vika of course who I have not played because she was too short. All we need now is for Woza to beat Vika tonight (a 3/1 chance) and we are guaranteed a finalist! We have a similar situation to last week with an ofdds-on fav in one half of the draw - SW - and ew betting available. We are only at the last 16 stage whereas last week I placed my two bets at the qtr final stage. I may have another bet(s) at the qtr final stage if ew betting still available.Azarenka is on court at 16;00 UK time so if you wish to back any of the above you will need to do so in the next couple of hours. That's it for today unless any of this morning's selections are non-runners. If the other Pete doesn't win maybe this one can! Not playing any other race. At 6pm Cirstea plays Serena. Very little chance of winning - stats completely against us. SW leads H2H 3-0 (on clay, hard and grass). 6-0 in sets. Best Sorana has done is three games in a set. But we had the bet primarily for the place money. So feet up and a glass of wine and just enjoy the match - and not worry about a miracle happening! I may have further bets when I return this afternoon. If I do I intend to post them by about 3.30pm. Well it's been a good day. Came into it a few points down on the week. (About five I think but will need to check, too much Chablis consumed right now to calculate!). The "daily" horses returned only 16.1 points from 20 staked (as there was just one winner and a place). However Europe's triumph in the Shergar Cup at Ascot (4/1 advised) and Mosse winning the top jock (16/1 advised) resulted in 22.5 points profit from the event (having deducted the 1.5 point late hedge). Then there was tennis in Canada and the Sorana Cirstea each-way bet @ 66/1, struck earlier in the week. She has just knocked out Li Na in straight sets to reach the final and return around 17 points for the 22/1 place part of the bet (1/3 odds). That nets around 14 points for the tournament when deducting the Cibulkova losing bet and gives us a free (but highly unlikely) hit in the final tomorrow. Those of you tuning in today for the Shergar Cup may possibly have picked up on Cirstea for the first time who was a top price 3.9 for today's match with Sportingnobet.com. The latter just seem to slavishly follow betfair even if there is very little liquidity so you may have been able to have a decently priced match bet. In any event we are in excess of 30 points profit on the day and therefore about 25 on the week. Tomorrow we could add a further 50 points if Cirstea wins the Rogers' Cup final. Highly unlikely but should be an interesting watch. Let's hope A-Rad can beat SW tonight!! Twenty points staked. No further bets unless any of the above don't go. A fine win by Cirstea to defeat Kvitova 2-1 in sets this evening. I thought the Romanian was going to burst into tears when Kvit came back from 1-4 in the second set to 4-4 but Sorana got a second wind after what appeared to be some shrewd on-court coaching. Anyway I don't expect she will be more than 9/4 or 5/2 to beat Li Na so a chance of a pick up if she could triumph on Saturday. The H2H is 4-1 to the Chinese - Cirstea's win coming at Wimbledon. However the Romanian looks to be improving. Don't you hate betting shops? I try and go to them as infrequently as possible. Won't bore you with the details. The above competition has reached the quarter-final stage. Serena is a prohibitive 2/5 to win the event. However three bookmakers are still offering each-way terms so I have had a couple of bets on the outsiders in the other half of the draw. Boyles are 1/4 odds and Ladbrokes don't take bets and I have no Ladbroke shop near me. So it's Betfred. Head to head is 3-0 to the Chinese. However Cibulkova has had two consecutive good results beating Kerber and Vinci. Li Na had a long and hard match against Ivanovic, squeezing through in a final set tie-break. H2H is 3-1 Kvitova. Latter looked good against Stosur last night but, like Li, can throw in a bad performance now and again. Cirstea has beaten Woza and Janko back to back. Long explanation but just a small interest - three points invested. It's the Shergar Cup nonsense at Ascot tomorrow. I may be having a bet there. Elsewhere I may have a bet in the tennis but it involves going to betting shops to be accommodated so will post later (12.00 noon?) if price(s) still available. "Richard Glynn, chief executive of Ladbrokes, delivered the warning on gaming machine revenue as the bookie reported a worse-than-expected 48.5pc decline in pre-tax profits to £55.1m for the six months to June 30, down from £106.9m at the same point last year." - Source Daily Telegraph online. Good news - decline in FOBT use, long may it continue. Ladbrokes' shares down nearly 4% as I write. But BOG re-instated with a 9am threshold! (Not available to me though). A reader informs me that BOG from Ladbrokes is from 12:00 noon. When the market has settled therefore and all value has often gone. A little worrying as other firms could follow. That's all for today unless there is a non-runner in the selections. Not that I am allowed to bet with them but has Ladbrokes withdrawn BOG from their horse racing markets I wonder? The concession seems to have disappeared from Oddschecker listings. But then there was a time when they wouldn't even appear on the odds comparison site so nothing would surprise me. In any event we will hear from Mr Glynn tomorrow as their interim results are announced. That should be amusing, with plenty of squirming, as they are performing poorly apparently. So William Hill will no doubt be powering even further ahead. May have another bet tomorrow but not certain at this stage. But it certainly wouldn't be with Ladbrokes! May play one more race at Ripon later. Nice start to the week with 14 points profit from the Wolverhampton wager. Had very little time to bet or indeed watch any races today. I see the selection was backed into 5/1 and lead all the way. Will review tomorrow. Will also review the Ripon card. I may well have got involved here had I been at home. In any event there are possibly bets at Ripon and/or Kempton tomorrow so will take a closer look in the morning. Sam Stosur, is starting to run into a bit of form having just beaten Azarenka in California. Stosur is of course a huge underachiever having only won four (now) singles tournaments in her long career. One of those four tournaments - in fact her last winning tournament - was the US Open which she won two years ago surprisingly beating Serena comfortably in the final. No good at Chester today. Intense Feeling was fourth and that was the nearest we got to a return. Still a good week overall with around 58 points profit. All figures on the website have been updated. That's it for the day unless any of the selected horses are non-runners. Will probably have a couple more bets in the morning. About 34 points profit today and therefore now around +70 on the week. Tomorrow a more relaxed day with just Chester to look at. No good yesterday - loss of 9.5 points. Still about 35 points up on the week fortunately but a very challenging day today. Could have bets at six tracks but limiting it to five! More from Thirsk and Goodwood in about 30 minutes.